​Manchester United are tipped to offer resurgent home grown forward Marcus Rashford a new 'double your money' contract in a bid to get him to commit his long-term future to the club and ward off rumoured interest from some of Europe's biggest teams. As things stand, Rashford is currently due to be out of contract at Old Trafford at the end of next season. Even though the club still retains a 12-month option to push the expiration date to 2021, failure to extend it sooner rather than later would leave United vulnerable. According to the Daily Mirror, United are 'ready to open talks' with Rashford over fresh terms that would apparently double his current weekly wage from £75,000 to £150,000. It is said to be a proposed deal that would 'reflect his progress and importance to the club'. 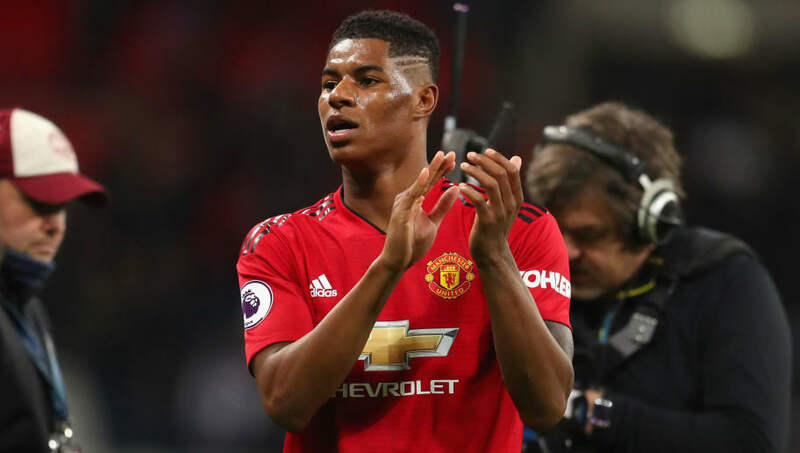 The Mirror also claims that Real Madrid and Juventus are two clubs 'known to covet' Rashford, with a new contract likely to dampen any speculation of a possible exit. The 21-year-old former academy starlet, who was handed United's famous number 10 shirt in a major show of faith last summer, has been rejuvenated under the management of caretaker boss Ole Gunnar Solskjaer, much like the rest of the squad. His Old Trafford career looked to have been stalling under former manager Jose Mourinho, but he appears to now be enjoying football and playing with a smile once more. That confidence and positivity have made an impact on his output and performances as well. After scoring just four goals in his first 20 appearances of the season under Mourinho, Rashford has scored four times in only six games under Solskjaer. The England international has been leading the line and his been starting games ahead of Romelu Lukaku as a 'number nine'. He will hope to continue his scoring run when United face Brighton at home on Saturday afternoon, searching for a seventh straight win in all competitions since Solskjaer was hired.